Mysuru/H.D. 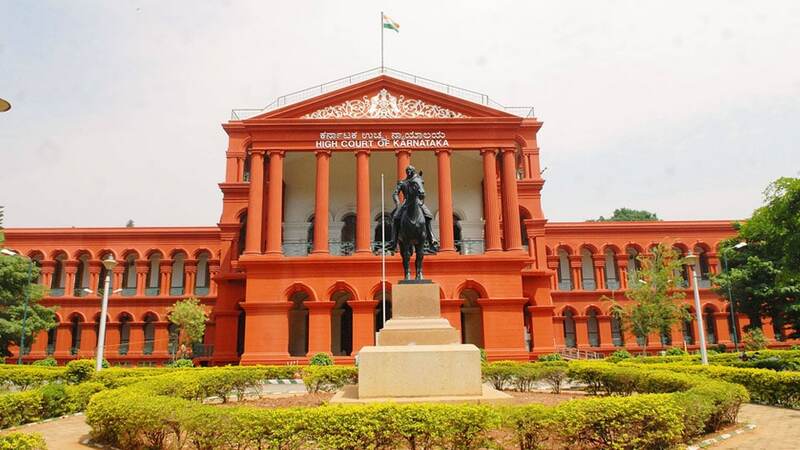 Kote: The Karnataka High Court has upheld the life sentence imposed on a man who had murdered his wife and buried her body next to a bakery oven at his home in H.D. Kote. One of the killer’s children had found his mother’s body after a part of the foot jutted out of the burial spot near the oven. The murder had taken place exactly eight years ago on July 31, 2010 and a Mysuru Court had sentenced the killer to life imprisonment. Questioning this, the killer had approached the High Court that has now upheld the Mysuru Court’s judgement. On July 31, 2010, 50-year-old Dasappa, alias Dasan, a resident of H.D. Kote, had murdered his 40-year-old wife Vasanthamma alias Vasantha. Vasanthamma had gone missing on the same day. The couple was running a tea shop and a bakery near Annaiyappa’s shed at H.D. Kote. For this, they had set up an oven to bake breads and biscuits inside their house. Two of their four children lived with them while the other two lived in Mysuru. After Vasanthamma went missing, her children tried to locate her but she was not found. A few days later, on persistent enquiry, Dasappa told Aneesh, one of his sons who was living in Mysuru, that Vasanthamma had gone to her parents’ home in Kodagu. Aneesh trusted his father’s words and returned to Mysuru. On Aug.4, however, when he came back to his house in H.D. Kote, Aneesh found the house stinking. On searching, he found a portion of a woman’s feet protruding from a heap of mud by the side of oven that was meant for baking bread. He immediately called his neighbours and lodged a Police complaint accusing his father Dasappa of murdering his mother. When the Police interrogated Dasappa, he told them that Vasanthamma had affairs with many men in the village. He told the Police that as he questioned Vasanthamma of her affairs, she committed suicide fearing consequences. Dasappa told the Police that when he woke up on the night of July 31, he found Vasanthamma hanging even as his daughter Anu was fast asleep. He told the Police that he had buried Vasanthamma by digging a pit near the oven and had covered the body with mud and clay hoping that the body will be burnt due to the heat generated by the oven. Dasappa was later arrested and was produced before a Trial Court in Mysuru. A charge-sheet was filed and the prosecution had proved the case by establishing that Dasappa suspected the fidelity of his wife and had on earlier occasions threatened to kill her. It was proved with circumstantial and other evidence that Dasappa had lied to his son Aneesh that Vasanthamma had gone to her native place. On the night of July 31, 2010, Dasappa had first strangulated her and then buried her inside the house to conceal evidence. The Trial Court found him guilty of murder, concealing evidence and harassment. Dasappa was sentenced to life imprisonment in 2011. Questioning the Trial Court judgement, Dasappa had approached the High Court where a Division Bench upheld the judgement of the Trial Court last week. The court said Dasappa had failed to offer a different scenario from that of the prosecution to prove his innocence.